The Lichtsinn Family We Care Charitable Giving Foundation is the giving arm of Lichtsinn RV. 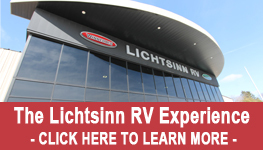 Through this program Lichtsinn RV has donated over $100,000 since its inception in 2009. All donations from The Lichtsinn Family Foundation are made through the We Care Program which provides donations annually to 3-5 Organizations that Lichtsinn Team Members have selected. Lichtsinn Team Members are encouraged to donate to these organizations and Lichtsinn RV has committed to match employee contributions up to a $20,000 total annually. Organizations wishing to become a We Care organization for the next year may submit a form to do so and the organization will be mentioned at the annual organization selection meeting, 501c3 Organizations only may apply. Organizations will be reevaluated and selected on an annual basis. Previous organizations on this list include: The Forest City Community School District, The Forest City YMCA, Local Student Sports Teams, The Forest City Education Foundation, Hospice of North Iowa and The American Cancer Society. Through this program we have also been privileged to contribute to: The Boman Fine Arts Center, The Forest City Aquatic Center, Westown Place Apartments, The Forest City Fire Department and Emergency Services Center, Winnebago County Sheriff's Office and more. Below you will find an application to be considered as a We Care organization for the upcoming year.